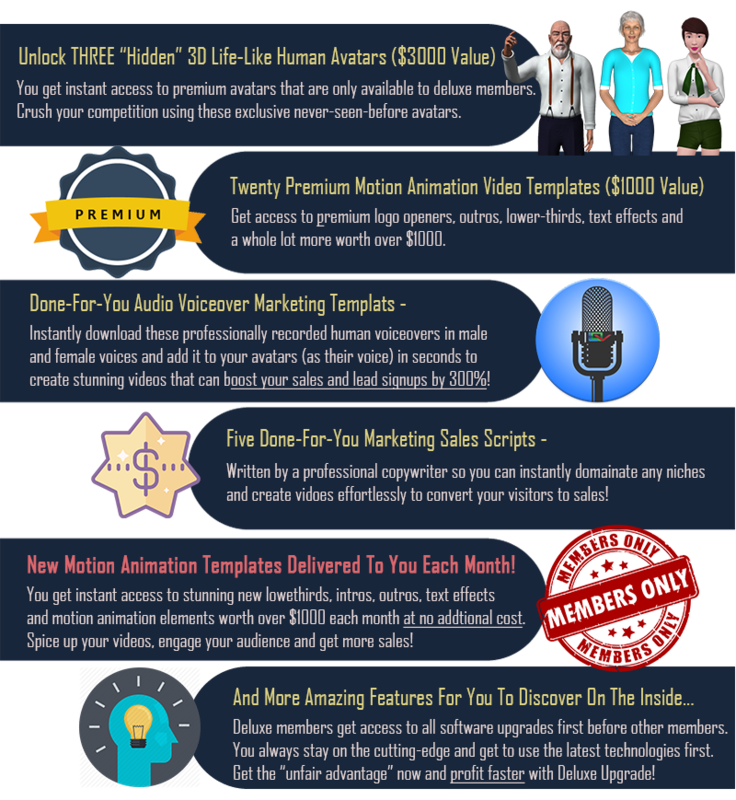 Unlock Hidden Features Worth Over $5,000 With VideoBuilder Deluxe Upgrade! Double The Features... Double The Profits. Before The Launch Discount Expires! in the deluxe upgrade. I agree to pay $97 a month for this upgrade if I choose to buy it later.